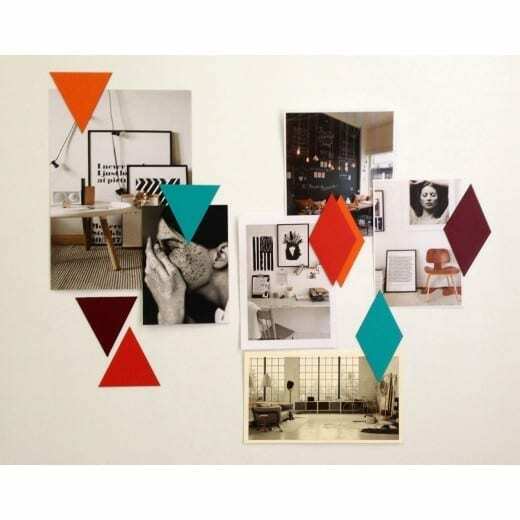 Welcome to Wallpaper Wednesday, and this fabulous geometric magnetic wallpaper from online children’s boutique, Sister’s Guild. 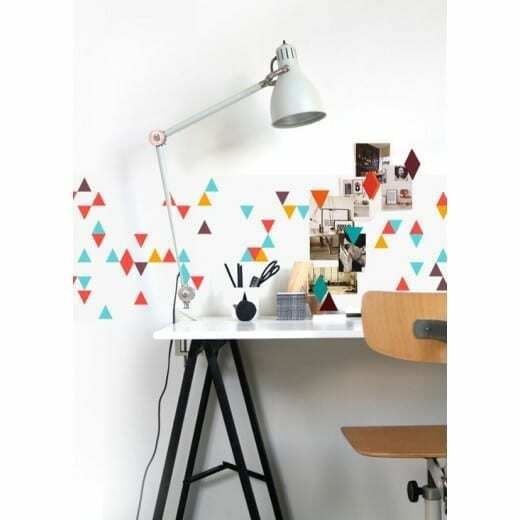 Ideal for any room in the house, particularly a home office, a kitchen wall or a child’s bedroom. 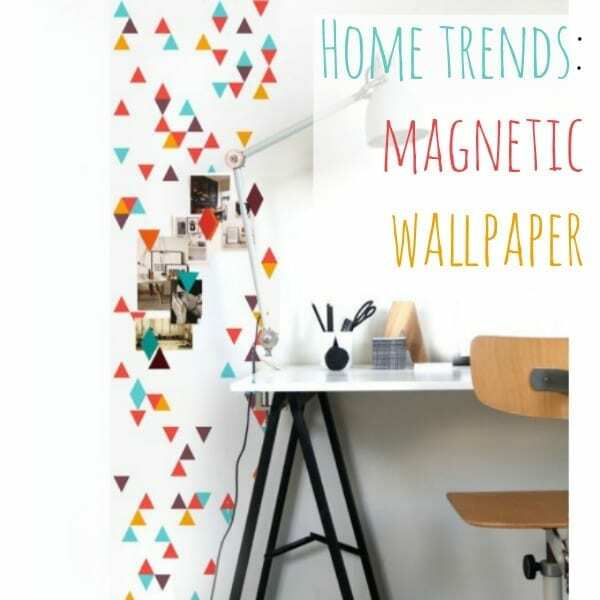 Magnetic wallpaper hangs like regular wallpaper but it’s a little thicker so requires a stronger adhesive. Made of iron particles on a vinyl base it creates a magnetic area perfect for creating a noticeboard. But really it’s much more than that. Think about how you could use this. Why not add your favourite art, favourite images, favourite pictures. 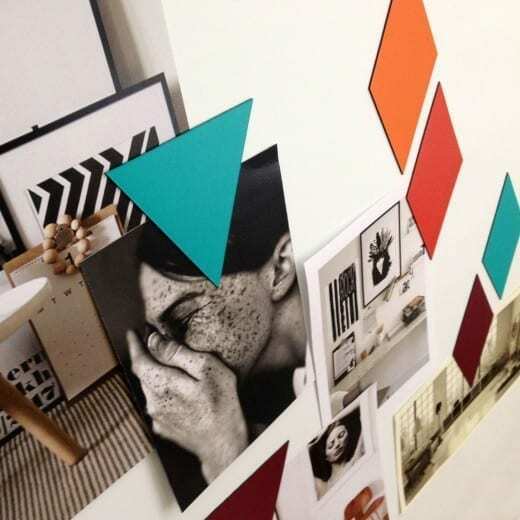 Create a moodboard that easily changes with the room decor, or in a child’s room, use it to display their artwork. The possiblities are endless! Created and designed by Lies Verheyen and Pieter Claessen, who run Mazout, there are different styles and types available, including a blackboard version too. Ideal if you don’t want to mess about with layers of paint, it combines 2 features in one and makes a stunning, practical wall. 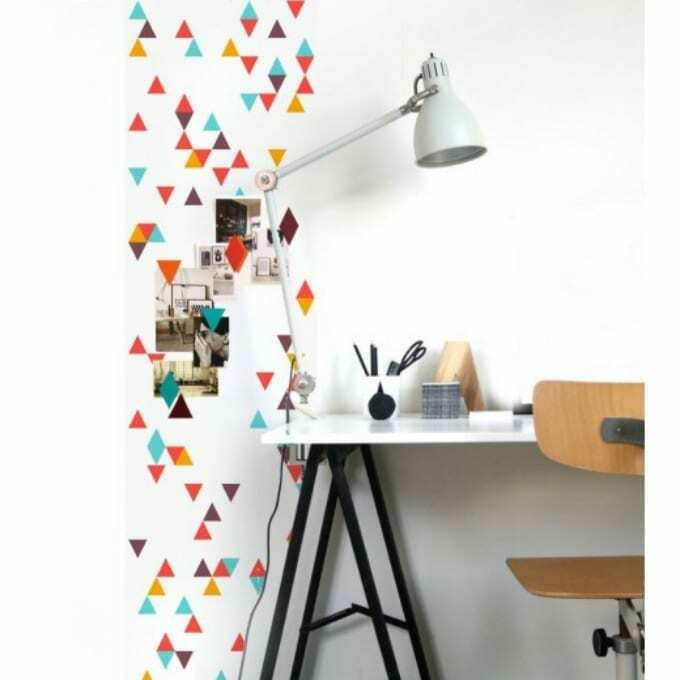 The geometric magnetic wallpaper is 264 cm x 63 cm, and costs £47.50. Hang it vertically or horizontally, depending on the requirement for your room, and the look you want to achieve. To find out more, or make your purchase, check it out on the Sister’s Guild website here. Wow, I had no idea magnetic wallpaper was even a THING. Amazing! magnetic wallpaper?! I need this! Oh I love this!! We really want to revamp my children’s bedroom and this would be a great way to do it. Brilliant. That is such a good idea – perfect for Kids rooms too! wow that looks amazing! Could think of so many uses for it already!